What a glorious day it has been. No day is like another in my business, and everything seems perfect when the sun shines and all goes smoothly. I just had one little dog to groom today, a pleasant little “regular”. 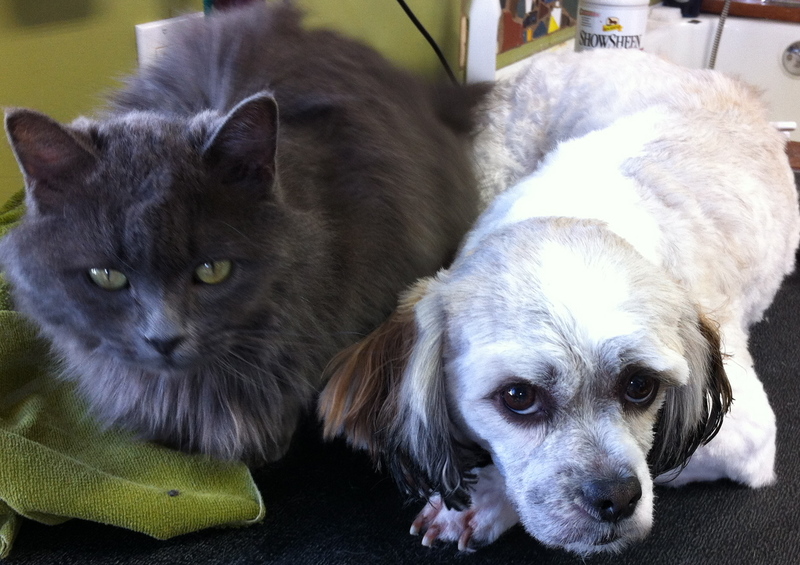 Picture here is “Buddy”, with Smokey beside him; I always think she is purposefully cuddling a dog to comfort him or her. The cat never seems to mind if the dog is wet, dirty, or lying in the great wind of the blow dryer. This afternoon I had an appointment on the book, but the customer didn’t show up or phone to cancel. I don’t like chasing people down, especially when they chose their own date and time when they made the appointment. There’s always other work I can do, or I can just loaf around instead. I went back to drawing the proposed little house. As I measured and sketched, I chuckled inwardly at myself, remembering a long, long ago discussion with my now late father-in-law. John built things sturdy and square; I didn’t appreciate this at the time. When I prepared to move to the farm at Dunster, my husband Pat and I decided that his mother should have a new house, and I could take over the old. Molly protested and exclaimed that it should be ME who has the new house, but we were adamant that she had waited long enough. She should have a new home, a finished home, and one with few stairs. Although Pat and I subsidized that house, it was John’s design and plan (blueprints were for other people!). And though that home was solid and true, with a sensible layout upstairs (in my inexperienced opinion), it also housed many idiosyncratic features. One thing that John did for at least some of his windows, was to go around the framed and almost-finished walls with a chainsaw to make openings. This might have been for just two of the windows, but it struck me very odd. Where the bathroom window was placed made no sense to me: it was stuck at the top of the wall, near the eaves. When I remarked that I thought the window placement was “goofy”, he growled that it was there so that “nobody could look in”. The window was on the second story, beside a steep bank and a busy highway. To me it was inconceivable that anyone could ever peer into that bathroom without a ladder and a perverse motive. What is humorous about this memory from my past is that I have drawn a house (’cause blueprints are for other people!) that has several “clerestory windows”. It’s not a new term or a new concept, but I haven’t noticed many of them in houses new or old. These are windows that are well above eye level, relatively “tucked up near the eaves” if you will. They let in light without taking up wall space and are very useful in houses built for passive solar heat and for efficiency. Guess what? Nobody can look in them, not without a ladder and a motive! I’m sorry, John. I was so impudent, even arrogant. I still have to examine my own house plan, as it seems that I have planned just too many of the clerestory windows. Still surrounded by the best of friends, the population changes daily around here. 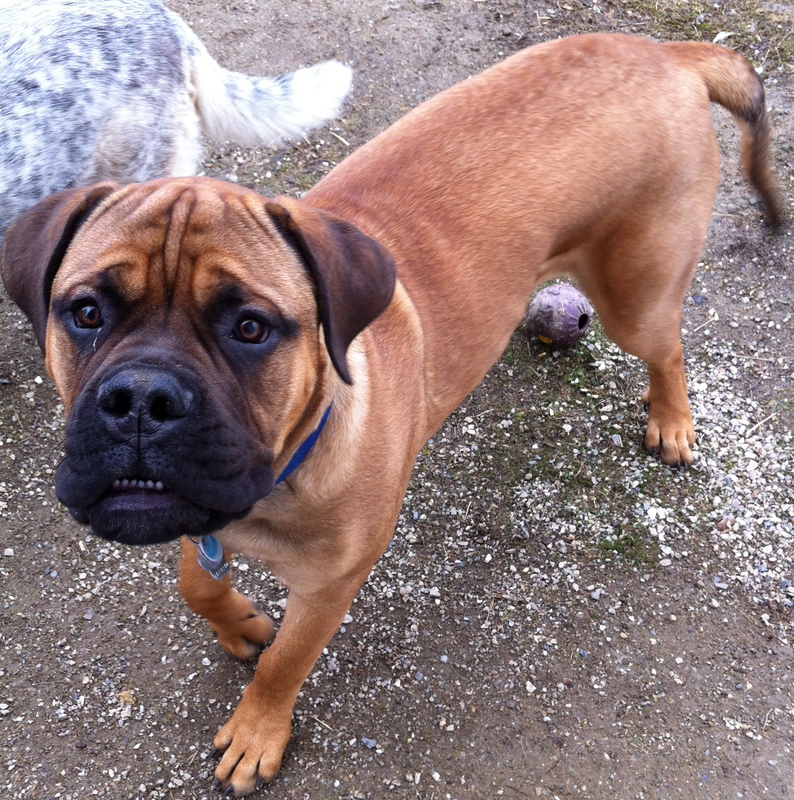 I was sad to see the big pup Ajax go home. Here he is, playing with Lady. I tried to get a photo of Ajax indoors on his large fluffy bed, but he would always jump up to greet me. His people are raising a fine, fine dog. Yesterday I had this big pitty (pitbull) mix and his tiny pomeranian sidekick arrive. 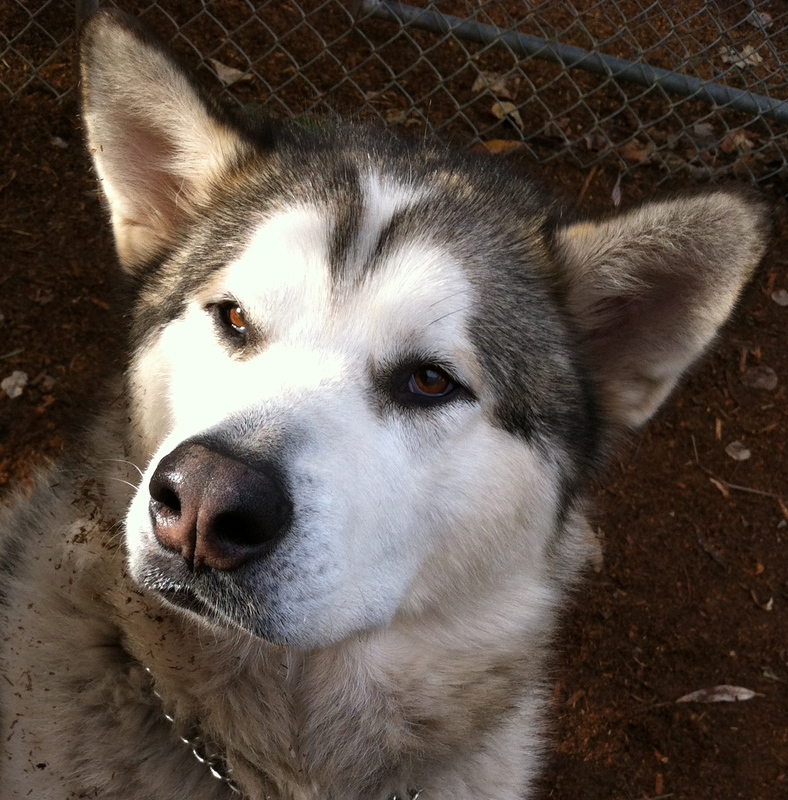 Zeus has become a stable and pleasant dog… he was rather bullish and disrespectful when he was younger and unneutered. I didn’t get a picture of the little pomeranian “Dotty”, from the same home. Dotty does not like me and either tries to bite or runs outdoors when I approach. 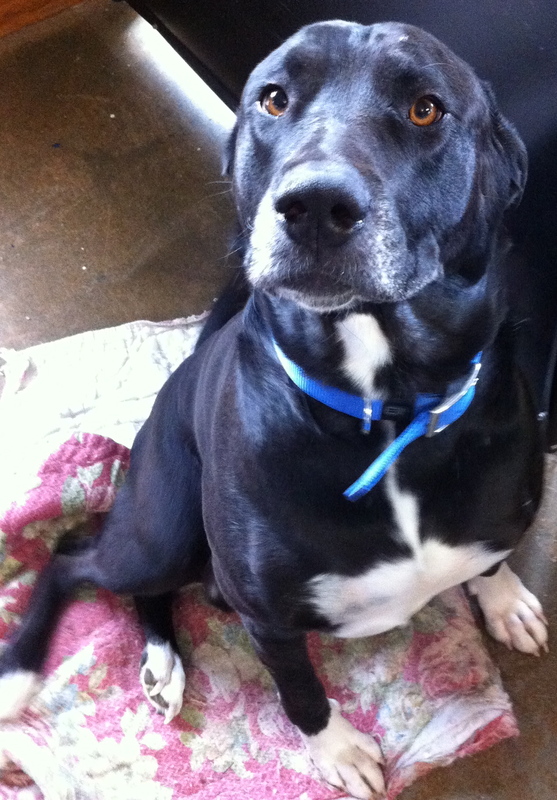 Tippy is here and seems to enjoy being with us and near the other dogs. She plays hard, eats well, and sleeps soundly. 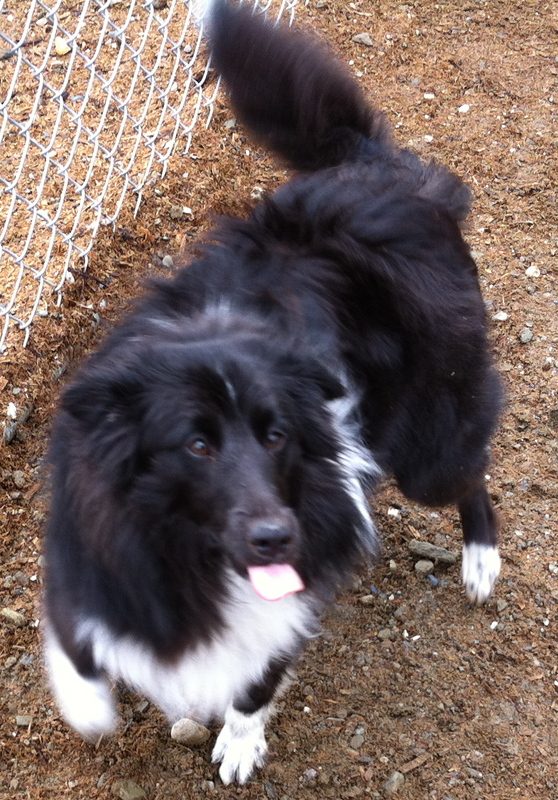 Also boarding today are Gus, Roxie & Abby, and Larkin. I showed you a photo of “Junior” last time. 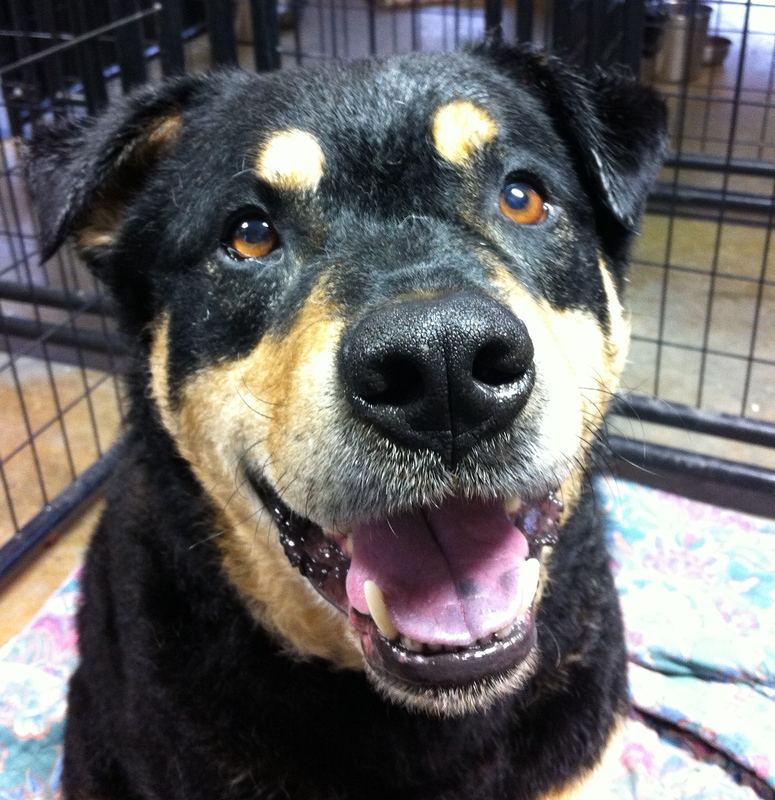 Yesterday I had Jack (a medium sized rottweiler mix) to wash and “deshed”. He is absolutely respectful and compliant, and frisks about like a puppy after his “spa morning.” (Did I tell you how much I love my new lift table??) 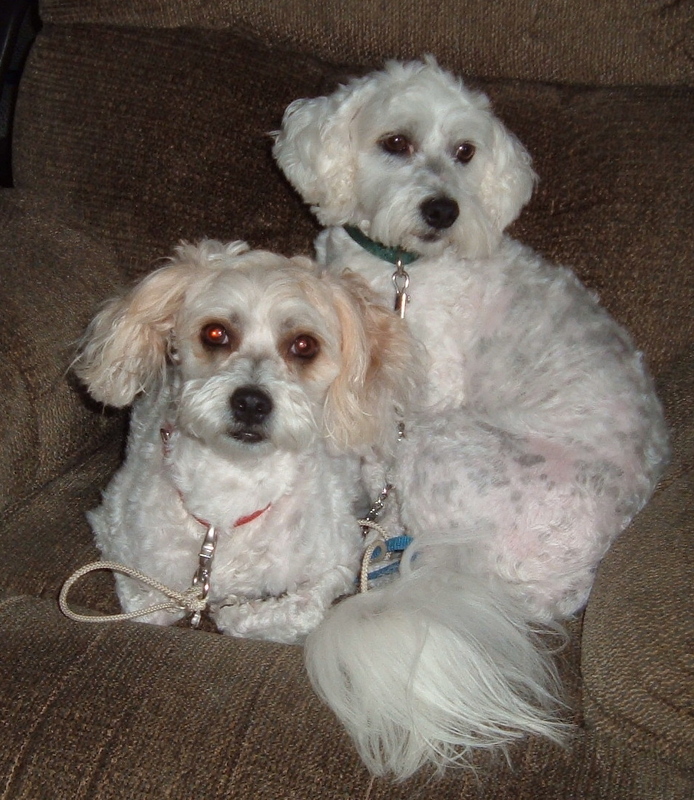 Also, I groomed Missy, who is pictured to the right of her brother Buddy. 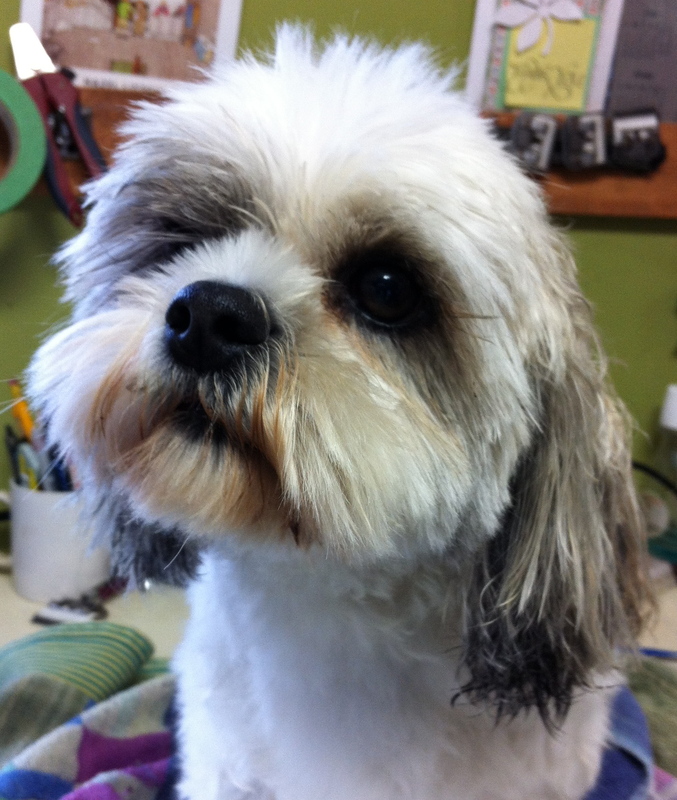 Missy always arrives matted, but she is pleasant for every part of the process, and her owner always seems appreciative. This afternoon, the power has gone out a couple of times. Sometimes I have remembered to “Save” my Blog draft and sometimes not. Tonight’s dinner is Indian Butter Chicken … again! I cooked extra rice to make a lunch for Gary’s ski days, as he and Rob will go to Marmot tomorrow and Thursday. I have a fair bit of work booked, so I probably won’t be idle and lonely. 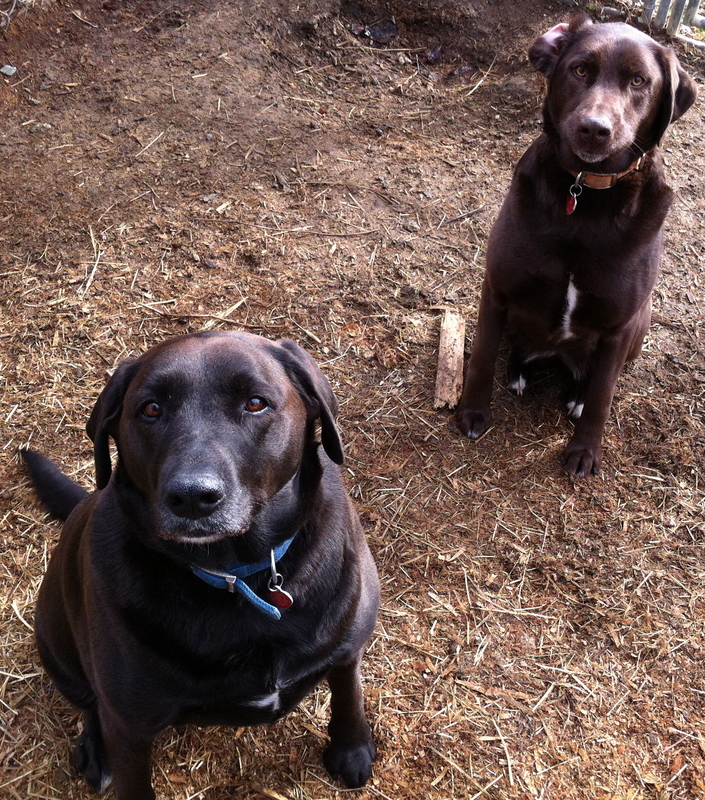 Tags: Abbie, Abby, Ajax, Buddy, clerestory windows, Gus, house design, Jack, Larkin, Missy, Roxy, Smokey, Tippy, Zeus. Bookmark the permalink.